In this video, Mark Mosher from Modulate This! 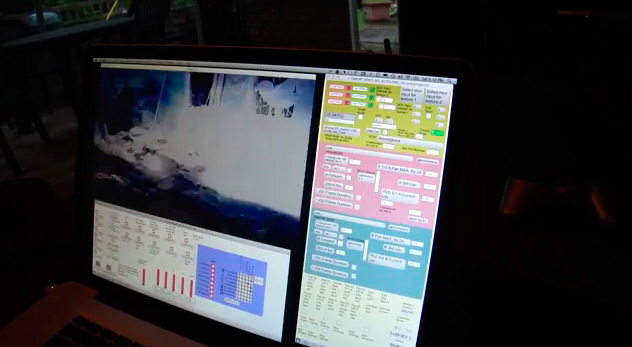 interviews artist Robert Edgar who offers a behind-the-scenes look at his Max/MSP/Jitter application called the "Simultaneus Opposites Engine". Robert describes the app as "a performance/navigation system for real-time traversal of existing video files, sorting through the audio and video a single frame at a time, in a arrhythmic spiraling motion". While this is not a commercial application, watching the interview will not only give you insights into Robert's innovate work, but will also give you a sense as to why people choose to program their own apps and how they use technologies like Cycling 74's to solve problems and express their art.